The spring 2019 CSA is currently full. If you would like to be on our waiting list for the summer/fall season (to begin mid-August), please click here. A CSA membership is like having a subscription for fresh produce grown on our farm. 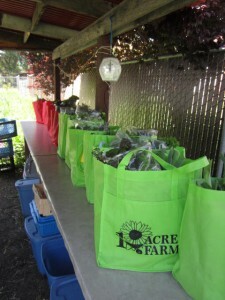 Members get a bag of seasonal veggies, fruits, and herbs on a weekly (or biweekly) basis. We grow dozens of varieties of produce throughout the CSA season, which runs from May-November. Our produce is always fresh, in-season, local, and grown without synthetic pesticides, fertilizers, or herbicides. Everything is grown right here in Morgan Hill, and most are harvested within 24 hours of your pick up. You can’t get any fresher than that! Large or Small: A large share has 8-12 items. Small share has 5-7 items. If you cook most days of the week and/or have 3+ people in your family, then the large size is probably best. If you cook less frequently and/or have fewer people in your family, then the small size is probably a good fit for you. Choose your Produce: Each week, the produce will be arranged neatly in a farm stand-type display, and we will post a list indicating how much of each item you may take. “Extras” will be available at no additional charge, and you may also choose to leave anything that you don’t want. 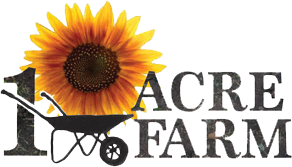 Spring and Fall: Lettuce, Peas, Bok Choy, Salad Mix, Artichokes, Cabbage, Broccoli, Leeks, Kale, Swiss Chard, Mustard Greens, Collard Greens, Arugula, Napa Cabbage, Kohlrabi, Turnips, Spinach, Winter Squash, Pumpkins, Cauliflower, and Herbs. Summer: Tomatoes, Bell Peppers, Eggplant, Summer Squash, Carrots, Green Beans, Basil, Corn, Cucumbers, Garlic, Onions, Melons, Beets, and Herbs. Eggs: We have a limited quantity of free-range eggs available on a first-come-first-served basis to our members each Wednesday at the farm. Rates: Large (8-12 items): $27/bag, Small: (5-7 items) $23/bag. 5% discount for full-year subscriptions.